Let’s talk about generosity. Of course, in church language we know that’s code for talking about money and giving. We don’t want to do that! Yet, more than 25% of Jesus’ parables are about money. He was not afraid to talk about it, so why are we? We know Jesus said that it is better to give than to receive. But let’s remember that he also said we mustn’t worry about tomorrow, and that our Father knows what we need even before you ask him. The challenge for us is to somehow apply these statements of Jesus that lead to freedom (don’t worry, trust your loving Father) in our real lives, with the real financial obligations and limitations. Let me say first that I am grateful to be part of a generous community. 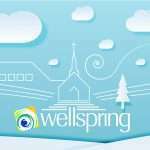 The Wellspring family demonstrated that once again as we reversed our growing deficit and finished 2018 covering all our expenses. Hearts of love led to gifts of sacrifice that honored the Lord and blessed our ministry. Thanks to all of you and praise to the Lord! Now we want to press further into this wellspring of life we call generosity. We want to embrace and unlock God’s truths. We want to remove the stress and anxiety about finances. That’s how the world lives, but we have a heavenly Father who loves us and has “all that we need at all times for all things”. We want to open a flow of heavenly blessings to individuals, families, and our shared ministry. Generous Lifestyle will be our focus for February. Throughout the month we will explore what the Lord means by generosity, examine the concepts of first fruits and flow, humbly look at the principle of tithing, and study one of God’s names: The Lord Provides. In addition to these Sunday morning sermon topics, I will also teach a Saturday morning seminar: Living in the Flow of God’s Economy. Our year verse calls us to seek first his kingdom and his righteousness, and all the things we worry about will be taken care of. (Matthew 6:33) One of the biggest areas of worry and stress in our lives is finances. Together let’s apply our year verse. Let’s set our minds on Kingdom perspectives and our hearts and our heavenly Father’s provision. For the scriptures tell us, that it is for freedom that Jesus has set us free. And whom the Son sets free is free indeed!